Vivienne Westwood Anglomania 'Trompe L'oeil Classic T-shirt'. 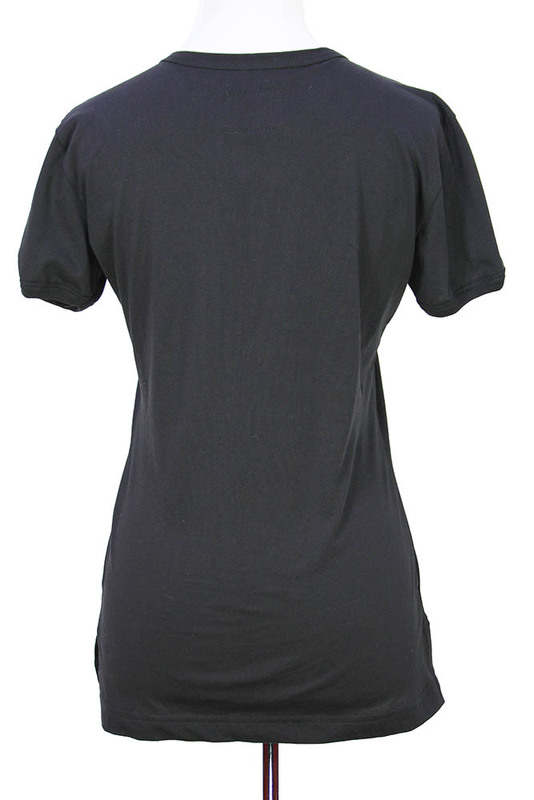 Short sleeved, round neck t shirt with bustier print on the front. Slightly longer at the rear, with short side vents. Great piece fun and stylish!